What is the future for Winsham Parish Council? Winsham Parish Council is seriously under strength in term of numbers of Parish Councillors and has been for the last year or so. We should have nine councillors, and we have six. Ongoing efforts over this period have failed to find people who are prepared to be co-opted on to the Council or to volunteer. On Monday, 4th March over sixty people, concerned with this situation met, at the invitation of the parish council to discuss the situation and help solve the problem. The discussions were very fruitful, and a number of those present expressed their interest in becoming candidates in the forthcoming election to be held on May 2nd. Ten candidates are needed for an election to be held at the same time as the other Local Authority elections taking place at that time (District Council Level). If you are considering becoming a candidate, you will need to download this in order to understand the procedure. That is unless you collected your pack at the meeting. Home Address Form- full address details, confirmed by somebody who lives in the Parish. Candidate' consent to nominations-signature and a witness required. However the Nomination Pack needs to be read carefully to ensure that you are fully eligible to stand. The Parish Clerk can answer any questions you may have. The Forms then need to be delivered by hand , no later than 4.00pm Wednesday, 3rd April , but not before 8.45am Monday 18th March by the candidate, or a nominee to SSDC's Office in Yeovil( Brympton Way, BA20 2HT). When you have become an official Candidate, the list will be published on the SSDC web site the day following the closure date..
Once elected, short training courses are made available by SSDC and other organisations, at no cost to the new councillor. These are not mandatory, but can be helpful. Residents consider the role of the Parish Council to be important, and often use it as a public forum to make their views known! At a recent council meeting nearly 100 hundred residents attended to make their opinions known. At its most fundamental, a parish council should influence the development of the area it represents-roads, and residential, commercial and industrial growth, by reflecting the views of residents. It is also an important voice when speaking to the District and County Councils on such matters of Schools, Highways ,regional planning, and lots of other matters too. At a more parochial level it concerns itself with the management and maintenance , within the parish boundaries, of public spaces and resources, using services such as grass cutting , road maintenance and street lighting, the latter two involving centrally provided services from higher tiers of government. Local knowledge is an important aspect of a Councillors contribution, along with a real desire to make things better. To provide these services, our parish council needs to know the opinions of the people who live in the parish, and ensure that these views are represented in the decisions and judgements that they make, as an important part of local governance. They should be guided in this by the Local Plan, which evolved from a major, detailed parish wide survey carried out in 2013. They also have a pro-active role to play. They can start ideas, which if popular can result in real improvements. An important example from the fairly recent past, was to use legislation-'the exceptions rule' relating to the sale of farm land which resulted in the building of affordable homes in Balsom Close to house people with links to the community. The idea started with Winsham Parish Council. On a lighter note they co-ordinated the highly successful celebration of the Queen's Diamond Jubilee which spread over five days . Nobody seems to know, which is why a Public Meeting was called for the purpose of consultation. Parish councillors need average literacy, average numeracy, internet access in one form or another, and above all, be public spirited. Winsham is not short of people who meet this basic criteria. Residents of Winsham parish require only that its councillors can be relied upon to make sensible decisions on their behalf, guided by the Parish Plan. 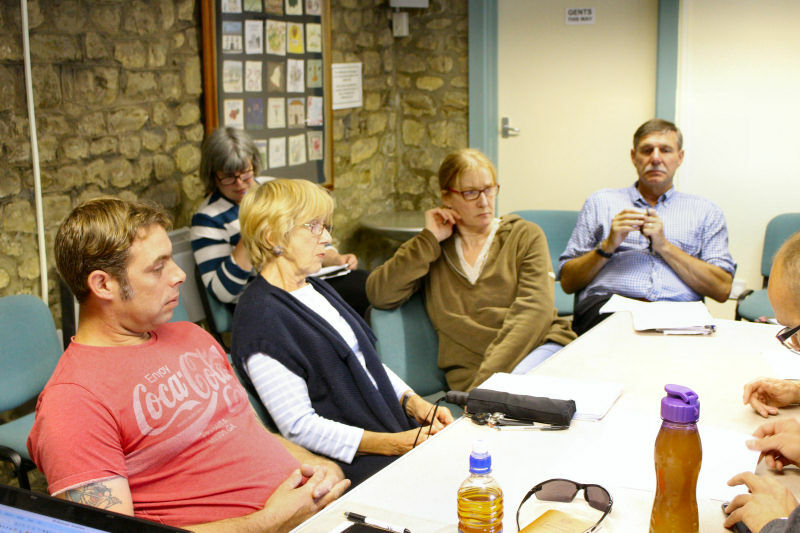 From a parish councillors perspective the basic responsibilities only involve about three to four hours a month, including the monthly meeting that takes place usually on the first Wednesday evening of the month, and lasts usually a maximum of two hours. The remaining time is spent reading and understanding communications from the Parish Clerk, which are , for the most part, fairly routine, although important. Of course, if a councillor has a special interest, such as Footpaths, or Planning, they can spend as much time as they wish on projects. The paper work involved is carried out by the Parish Clerk. who is professionally qualified and paid for the work done. An opportunity to put things right! On May 2nd of this year we have a once in four year opportunity to put the problem of a shortage of councillors right. Winsham has the opportunity to hold a proper election enabling residents to stand as candidates, and if not a candidate themselves, to vote for a candidate who they know and who they believe can be relied upon to represent their views on topics important to them. Parish Councils elections used to be a regular feature of village life up until the 1980s or thereabouts. Why they ceased is not clear. They are needed now! If you would like to know more about how the Parish Council works, and further background information on the current situation, a series of three articles will be published over the next three months. Click HERE to read the first article. Click HERE to read the second article. A third article has now been published, written by a retired Councillor, slightly tongue in cheek, aimed at reassuring would-be candidates that being a councillor need not take over your life, and that the time commitment need not be that great . You are there to make informed decisions for the good of your community-it is your judgement that is paramount. Click HERE to read. The popular perception, and true, is that our Winsham is pretty special. We fight above our weight. A medium sized rural parish, covering some 12sq.miles, with about 320 homes and some 750 people, it boasts facilities and resources, which in total are usually only associated with much larger communities. It has taken a lot of public spirited effort to achieve this over many years. Winsham Parish Council was one of the first Parish Councils to be formed, in 1894, and has played a major role in the development of the parish that we know to-day.